Last month, 20th Century Fox announced that Sophie Turner (Jean Grey), Alexandra Shipp (Storm) and Tye Sheridan (Cyclops) have joined the cast of the highly-anticipated X-Men: Apocalypse, which will close out the trilogy that includes X-Men: First Class and X-Men: Days of Future Past. This sequel will be set in the 1980s, which required director Bryan Singer to cast these younger versions of these iconic characters, originally played by Famke Janssen, Halle Berry and James Marsden in the original X-Men trilogy. 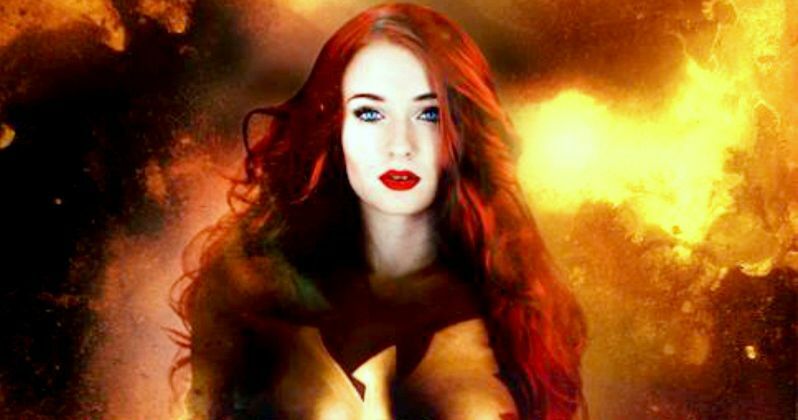 Sophie Turner is currently doing press for Season 5 of Game of Thrones, where she revealed that the producers may have cast the actress as Jean Grey because of the dark side to her Game of Thrones character Sansa Stark, which was put on display in Season 4. "I think maybe one of the reasons that they chose me for [Jean] is because they saw the dark side of Sansa. Maybe they're thinking, 'Oh, Phoenix, Jean Grey.' I definitely see a lot of parallels in there. "[Jean] struggles with her power... and not being accepted in the human world. I think in terms of [Game of Thrones], that's kind of the way Sansa felt in that she really wanted to be a normal princess/queen and live a normal life -- and she doesn't, because of all this havoc happens. I think Jean, in a way, feels that." The actress also shared her thoughts about Famke Janssen's portrayal of Jean Grey, adding that she will try to emulate her performance in some aspects, but she also wants to put her own spin on the character. "I think Famke played Jean incredibly well, but also, I'm playing a younger version of her. I want to emulate Famke in a sense, because she has to seem like the Jean in the first two movies, but I'm also going to put my own twist on her. I think I'm also going to take inspiration from the comics. I don't know, we'll see." Director Bryan Singer is currently in pre-production in Montreal, with shooting slated to begin this April, but with just a few months until shooting begins, Sophie Turner revealed that she still hasn't read the script yet, and that she doesn't know what her costume will look like quite yet. "It's all very secretive at the moment, so I've just done my auditions and a few pieces, but I'm really, really excited to play [Jean]. She's an icon."